Where does the Macaw come from? 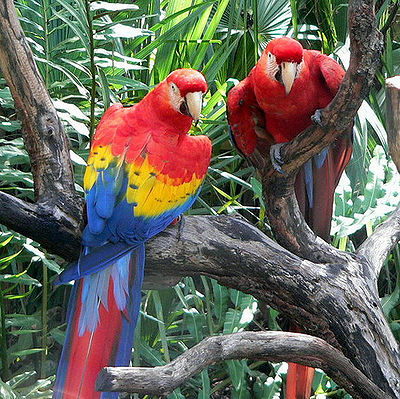 The Macaws native habitats are the rain forests of Central and south American. Sadly , the rain forests are disappearing and some species of Macaw are on the endangered list. Macaws have been kept as pets in the U.S. as far back as 1100 A.D. by the Pueblo Indians. What does the Macaw look like? The Macaw is a large, very colorful bird. Size varies according to the species – Blue Gold, Greenwing, Military, Red Fronted, Scarlet and Hyacinth, the largest of Macaws. They can be anywhere from 13-40 inches long. for discussion here we will refer to the Blue gold and Scarlet Macaws as they are most popular as pets. What is the personality of the Macaw? Deciding on a Macaw as a pet means quite a commitment as it is a long-lived bird. Cost is another consideration as they can be expensive. They can be taught to talk and will have an extensive vocabulary. 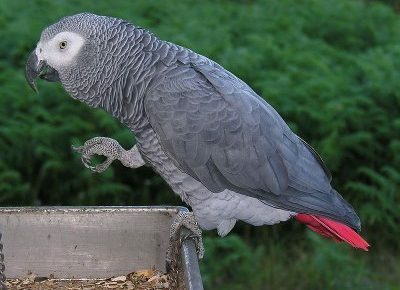 They are affectionate birds, but they require a great deal of time with training and socialization. 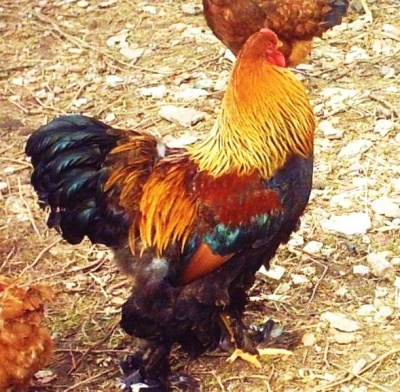 With their large beaks, they can cause serious damage if not properly trained. How do I care for and feed the Macaw? A very tall, large cage is essential. Also a perch outside the cage for them to sit on. Placing the cage in a corner in a room where the family spends a good deal of time helps the Macaw feel more secure. 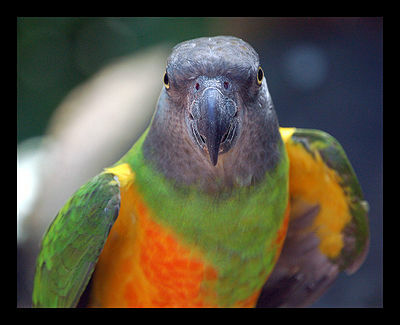 The Macaw enjoys a diet of pellets, fresh fruits and vegetables and small amounts of seeds and nuts. Never feed a bird avocados as they are toxic to them.